In its very essence, ice fishing flashers are portable sonar gadgets. The sonar is used to detect any object it detects within its beam. You will notice that there may be different colors when you first use it. This simply differentiates the different objects so a smaller fish may appear green while a bigger fish will appear red. Ice fishers or fishers, in general, use fishing flashers to strategize their way to get more fish. Since the sonar beam detects the fish and its interaction with the jig, the fisher can move his rod to increase his chances of getting the fish to take the bait. This also helps fishers to see what kind of movement they can do with the jig to attract more fishes. On a side note, these fishing flashers can even make the whole experience more entertaining for you instead of just waiting for a bite. How to Choose an Ice Fishing Flasher? Fishing can be a tedious task, especially with incomplete equipment let alone going ice fishing. One of the more important ones that technology has introduced is ice fishing flashers to help anglers check if there are even any fish in their fishing area. Although many of the traditional fishers would say that the mystery of it all when not using a flasher is the thrill of fishing in the first place, it would not hurt to at least be able to harness the benefits of technology. After all, you fish because you want to catch fish and not just wait in vain for a bite. That said, if you plan to buy an ice fishing flasher, here are some tips you may want to check. You are obviously not gonna bring your heavy truck all the way to your fishing place. So any gadget or equipment you will want to bring should be portable, meaning that it is compact and lightweight. 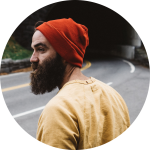 This will extremely be helpful if you think you are going to walk all the way to your fishing site since you won’t be tired right away just from bringing your fishing gear. In addition to its portability, it seems to defeat if you will need to keep charging the fishing flashers just to use it. Get ones that actually last long since fishing in general usually will take extended hours. Since you are going ice fishing, you will definitely want to have a flasher that is appropriate for the weather. The usual fish flashers and finders that are mounted on boats might be your choice, but this might not work. Not that it is any different at least on its technical side, but bringing to sub-zero temperatures may just damage it internally. It may be traded off however since companies usually lessen the technology on the fishing flasher to make it more durable in cold weather. Often is the case when there is only low light when going ice fishing. That said, you will want to get fishing flashers with a backlit display so you can easily the screen even where there is little light. 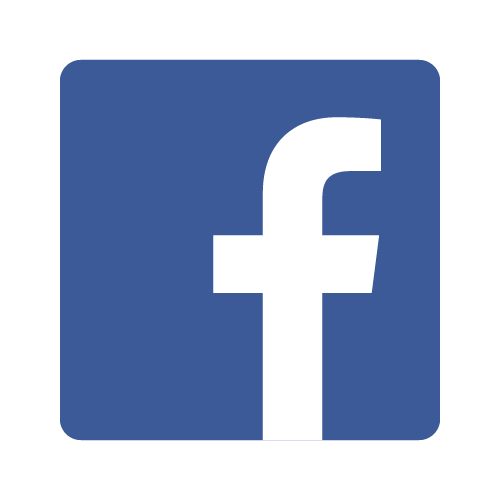 Speaking of screens, the screen resolution may not really matter and might just be a more personal choice. Choose one that fits your preferences and doesn’t forget the backlight. Fish flashers detect not only what is below you but also what is around you. Simply put, the bigger the cone size, the more you will see what is around and below you. The more you aware of these, the more you can use this to your advantage when fishing. 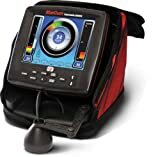 Marcum has been known to make quality fish finders/flashers in the market so do not be surprised to see many of them being people’s top choices. However, with the quality that you will be getting, also expect to pay a high price which may not be fit for your budget. The LX-7 is one of the most advanced technology you could ever get for ice fishing. It has an 8-inch LCD screen with 800 x 600 pixels which are bigger than its predecessor, the LX-6. There is an option that can change the color palettes where you can choose which one works best for you. Additionally, you can even choose what you want to be seen on your screen: digital depth, battery, range, gain, target adjust, and interference objection. Its sonar has a transducer cone angle of either 8 or 20 degrees. You get a lot of features to actually a lot of the fishes beneath you without any noticeable delay. The 8-inch screen is also bigger than the usual average of other fish finders/flashers as well. With the screen, you can even manipulate how you want to view what is beneath you. Although the features and software are phenomenal, the physical parts of the gadget itself may not be worth the money especially since this is one of the most expensive ones in the market. That said, damages can be done easily because of the cold weather. Although Marcum offers repairs, it may take longer than you expect. Lastly, when it gets too cold, the screen can sometimes fog up too easily. Another one of the better companies when it comes to fishing flashers aside from Marcum is Vexilar. Also, like the previous one, this might come as quite expensive for you so you will just have to be the judge for this. It reads digital depth, has auto range, two zoom zones, five different color palettes for you to choose from, and of course the battery status. Unique to only a few including this is the day and night mode and the weed mode. The former is straightforward in how it switches to day or night so that it optimizes its settings to perform best. The latter, the Weed Mode is something you will love if your fishing area involves a lot of weeds. If this is your first fishing flasher, you can select its demo mode to show you how to use it effectively. This is one of the few fish flashers you can get that makes little to almost no noise. The physicality of the gadget itself seems very well protected making it already look like it actually works best in very cold environments. The Weed Mode is pretty convenient to use as well since those without this may have a hard time detecting fishes in weed areas. Like the Marcum, this is can be too expensive although some would say that it is just right for the price. When in shallow waters, you will need to set this in low power mode, unlike most other fish finders which are a bit weird. When fishing with your friends and families who are also using fish finders, you might have trouble using them together since you will get a lot of interference from each other’s devices. 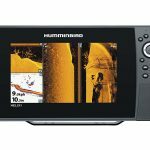 Humminbird has made a lot of different fishing gear and it is unlikely that you have not heard about them when it comes to fishing. Their fishing flashers pretty much have a good price to quality ratio. With the Ice 55, you get a lot of durability and longevity with its materials being of high quality and it even comes with a case to give it more protection in the cold. Its battery definitely lasting longer than expected. One even mentions that the battery only used up to 20% even after 5 hours of fishing while using the Ice 55. It uses different sonar frequency channels so that it would not interfere with your friend’s fishing flasher. Like the Vexilar, it also has a demo feature which beginners will also find very helpful. The durability is quite obvious already plus the fact that it lasts longer than the majority of the other fishing flashers in the market. The noise is on par with other high-end brands as well. When in environments with low light, you can turn up its brightness easily plus it has a backlight as well. Storing the Ice 55 might be a hassle. The cords have a foam support that makes the cord unwind itself when rolling it so that it’d be easier to store. Other brands may have a single arm cord transducer which is a lot better than having both a support and signal cable. Not all Vexilar fishing flashers have to be too expensive, there are others that are a lot cheaper while still giving a good quality like this GP1812. This one comes in a pack. 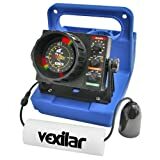 The blue box you will get supports a lot of other accessories by Vexilar like its battery status, its flex light, and even a Dual Beam Ice-Ducer. Speaking of ice-dancer, this has a built-in transducer holder that you will like since it will fit any size of ice-dancers. It has a LED display that has a 3 color technology (green, orange, and red for weak, medium, and strong, respectively). The display can even have a patented split that allows you to zoom in on the bottom side of the water while still being able to view the whole water column. The whole thing’s durability is a big plus but it may give off some weight which not many minds. If using this on a boat, you can even lock this to it so that it would not fall off even when getting hit by big waves. Being availaible at cheap price from a high-end brand is already a big plus too. Unlike the previous one, the battery does not last as long. Although it does last for nearly 7 hours which is quite okay for a fishing session, it might not be your choice if you decide to fish even longer. Just to mention it again, you might want to consider the weight of this. Just like Vexilar, Marcum also offers cheaper ice fishing flashers while only sacrificing not too much quality but enough for you to fish perfectly well with this VX-1i. This cheaper Marcum model seems like it was made for you to actually see the screen perfectly since it provides a lot of lighting. You will also get a battery with 12 volts and 7 amperes which are rechargeable and of course, it’s charger. It also features the same split screen so you can see one specific area on one screen while seeing the whole thing on the other screen. This Marcum VX-1i comes with a long 2-year warranty. It is convenient to use when fishing and store when done since you can all just place it back to its red pack that comes with the package. 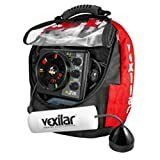 Again like the previous Vexilar, for a cheap price from a high-end brand, this could be a steal. Since you are reading this to look for the best ice fishing flashers, this model might not exactly do well. Although that is not a certainty since not many use this in extremely cold environments, it does work well in generally cold areas. 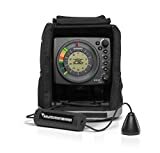 This fish finder is one of the cheapest you will find in the market but do not judge it right away just because of its price. This might be quite conditional meaning that it works for some while it doesn’t for others but you should give definitely give it a try. This is especially if you are trying out how to use fish finders since this one is pretty basic to use. You just simply have to connect it via Bluetooth to your mobile device as it will act as fish finder’s screen. 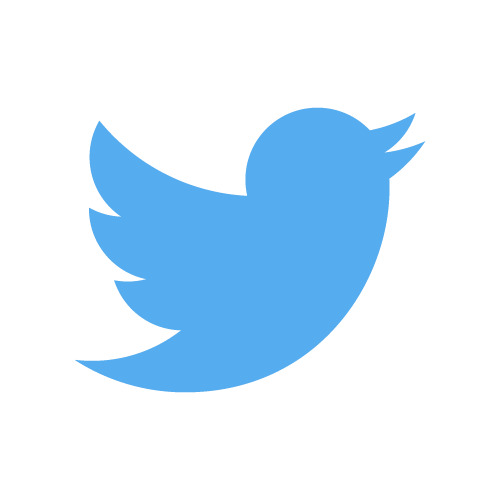 Since it does not have its own screen, you might find this to be the most portable device. You can store it somewhere warm so it doesn’t get damaged by the cold and all you’ll need is your phone. It is cheap and possibly the cheapest. While being the cheapest, it is also the most portable one you can find in the market. Its built-in battery lasts fairly long for its cheap price as well lasting up to 8 hours. If you fish longer, you can use the same power bank or portable charger you use for your phone. While this has caught your eye because of its price, there are a few things you have to consider. Its sonar signals can’t reach lower depths of water. If you fish in shallow waters, however, the sonar signal can get scrambled. In cold weather, you Bluetooth will have its limits so make sure to keep this fish finder warm.